I am thankful that you call me when you are feeling depressed, afraid or you just want someone to talk to. I cannot put into words what that means to me-- I have waited many years for this! I have so much I want to say to you, so much I pray that you can understand. Today, I want to share with you a few things I have learned. The title of today's blog is from a sign I saw in front of a church, while on vacation in Glen Ellen, California. Those words made me smile, because they are so true. I am now 53 years old. I have been through a lot in those years-- pain, betrayal, financial problems, divorce, disappointment-- just a few experiences in my lifetime, but there are many more. My life finally feels restored and at peace, now that I seek to be with God in all of my decisions and times of trouble. I rely on His wisdom, I trust Him and I am thankful for God's mercy, forgiveness and love. Last night, you were so upset because you and your sponsor have parted ways. I could hear your voice quavering, as you talked me on the cellphone. I wanted to hold and comfort my "boy", but you are now a tall young man who is about to turn 20 in three months. You are 2 hours away from me, so I could only try to encourage you. I listened to your reasons why you were upset with your sponsor-- you felt he was disrespectful to you, hard on you, lacking compassion. You didn't like how much he used the "MF" word towards you (have you tracked how often you say the "f" word?) I don't doubt that you truly believe that he intimidated you to the point you no longer wanted him as your sponsor. I have heard your sponsor's side of the story, for a mutual friend who has great integrity. Do you know what his side of the story is? He was once a heroin addict, as you know. He's been in prison, and he's done terrible things to people. He has an anger management problem, and he knows it. He talks"tough" because he lived on the streets and in prisons. But, he is working the 12-steps, and you aren't. This "gruff dude" cares about you, B. Maybe he's not going to sugar-coat how he talks to you, but he feels hurt too. He feels that you only called him when you wanted something-- when you wanted him to give you work, so that you could get paid under the table. You called if you wanted to play golf, knowing that he gets free passes. He feels hurt that you never called him just to talk. The only time that you called him was if you needed something. My point, son, is that friendships and relationships need to be fed and nurtured. Addicts know how to manipulate and use people to get what they want. I pray that you will stop and do a personal inventory before you call someone from your cellphone (that your father pays for, by the way). I am speaking from experience, because I used to call friends if I needed something-- or just to whine about my problems, or to complain. One day, a friend dumped me for that very reason. Wow! That was a huge wake up call for me! You have quite a few friends who love and care about you. You know that you are dearly loved by your parents, your step-parents, your uncles, your cousin. You have the help and support you need by my best friend, who lives so close to you. Why not just call them, on occasion, just to say hello and ask how THEY are doing? It's amazing how powerful it is, when we reach out and touch someone (like the old AT&T commercials)... when we call to lift their spirits. I have found that when I am feeling down, that if I encourage someone else who is struggling, it lifts my spirits too. You are struggling, son. My heart aches at how each day is a struggle for you. You can't manage your money to make it last. You can't figure out how to shop for food, rather than blowing your money on unhealthy fast food. You can't stop driving around, wasting gas. You can't come home, because you are too green in your recovery. 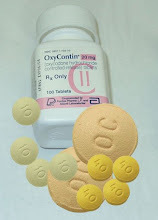 The risk of you returning back to using oxy-contin is too high, because the triggers you are so familiar with are here. I believe that God is watching you struggle, because he wants to you cry out to him. All he asks of you is that you trust in Him. He sees and he feels your pain, and it grieves Him. You have so many life skills to learn. You are so young, and I am watching you repeat many of the wrong paths that I took when I was your age. Fortunately, I have learned from my mistakes. Most importantly, I have learned the power and healing that comes when I admit to God that I have sinned...that I have hurt someone...that I have tried to take shortcuts that are not in God's will. I can only try to encourage you, pray for you and do the best that I can not to enable you. I am tossing and turning, at night... wondering what decision you will make, when you give up the apartment at the end of August. I'm here, son. But, I will not support your decisions that are not honoring to God. Please don't forget that you are an addict who is brand new in his recovery. I am at the end of a month-long vacation. I'm so thankful to have had the time to sleep in, take care of errands and phone calls that I've procrastinated, and to take care of myself. My husband and I managed to leave town-- he spent three nights hiking and camping alone. I can't hike, due to arthritis in my knees. I believe that men need their own time, too...that it's very good for the soul. I spent two nights staying in a beautiful home, with my best friend of 32 years, near Sonora. I felt as though I could literally leave all my troubles and worries behind me-- namely, my concern for my son. My birthday was wonderful, spent in the Napa-Sonoma area with my husband...until my son called, very depressed. It put a huge damper on my birthday and so I turned off my cellphone for the rest of the evening, and most of the next day. I felt happy again, touring a vineyard and holding hands with my husband... eating a wonderful meal on an outdoor patio and feeling truly blessed. It was time to drive home, so I turned on my cellphone and it immediately rang. It was B. He was frantic for his weekly allowance (from his trust account) so that he could buy gas to go home and get his insulin he had forgotten. He is so disorganized that he wears me out, emotionally. My son's life is such a drama... he is always in crisis. And, so, the saga continues. Is my son clean? I think so, as do those who are closest to him. If he's using, I have no idea how he's getting the money. He only gets enough money to buy gas, food and that's it. His rent is paid for, but that is about to end. His sobriety is still his highest priority. He has to work the program. He's not going to enough meetings. I am praying that he will remember to come to God each day. I don't want to come before God, each day, with a list of things I "want". I want my time with God to be a relationship with Him... to admit my faults and ask for forgiveness and help. I want to ask God for wisdom. I hope that my son will remember this, too. B agrees that he needs to give up his apartment in Benicia. His roommate started drinking again, because he's not working the program. His roommate is not going to meetings. I reminded him that this is exactly why the 12-step program works-- if you work it. I have tried to remind him that our struggles in life are God's way of making us grow closer to Him. It's always God's way of saying "no". B wants to come home. He says he wants to come home so that he can "save money". He's tired of being broke. He swears he just wants to go to school. B wants to be taken care of. He misses home, and that is very understandable. He misses the creature comforts of free internet, cable, food, shelter and security. What my son forgets is how often I have heard his promises. Move to Nevada and live "for free" (whatever that means) with a married couple who feel sorry for him (that's my conclusion) and who want to take care of him. B met the husband while in rehab. Stay in the Bay Area and struggle. B called me over an hour ago, sounding very depressed. I can tell that he wants to come home. I had to tell him that (and this is after much prayer and discussion with my husband and someone who has been in recovery for over 20 years) that we feel it is too dangerous for him to return back to Salinas. Even if he's clean and sober, now, he is too close to all the triggers that could lead him back to using all over again. B did not like this. I could hear his bubble burst. I think he was ready for me to welcome him home, with open arms. He hung up on me. I do not think my son has made any kind of real effort to find a job. My son has absolutely no life skills, and I regret that. I continue to give him ideas and resources to help him learn how to find a job, but he continues to be flaky in his follow through. I was just like that, at his age. I made promises that I could not keep, just to keep my mom off my back. That's what my son is doing. The problem is, he doesn't realize that I've been lied to so much that he has to earn my trust again. The only way he can do it, is that I see him paying attention to the simple things in life that he isn't-- like going to meetings, returning phone calls, tracking his money (he's overdrafted his account six times). Today, I am sad. I'm sad to have to say "no" to my son. I am trying to help him. He doesn't see it now. He wants to come home, and I can't allow it. I will help B with his rent (from his trust account) if he moves into an SLE. Other than that, my answer for financial help is "no". 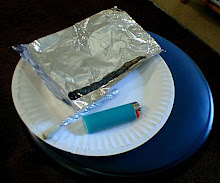 I'm also sad to hear that a dear friend's son is back to using heroin again. Her pain is so clear. Please remember to pray for the families who are dealing with loved ones with addiction. Heavenly Father, I pray that you will reveal your love and forgiveness to my son so that he will feel your love, peace and strength today. I ask that your perfect wisdom would be revealed to my son. Please, father, be the shield from the devil's tool of discouragement. I pray that my son will not believe the devil's lies that he's a failure. I pray that my son will know how much he is loved by you, and by his family and true friends. I am on vacation, and I'm very thankful to have a month to myself. I appreciate getting up in the morning, to a quiet house...a quiet cup of coffee...some quiet time to just talk to God... to take care of phone calls and paperwork that needs private time to take care of. I will be back, but right now-- I think I need to take a break from focusing on my son's addiction. For now, I do believe he is doing well. I do believe that he's clean. He has been at my home, for the last three nights. I feel like I have my son back-- the wonderful, sweet and loving son that I used to know. I'm amazed that he chooses to hang out with me...mom...the person he used to lash out at. We've had many opportunities, in these last three days, to talk about how addiction. He has admitted to be what a jerk he was to me. He's been apologizing for all that he's put me through...his materialism...his selfish ways...how me was constantly working me for money. I will blog more, later. Thanks for checking in with me-- to those of you who are checking my blog. I have lost my desire to write, but that will come back. I think I'm going through my own "detox". Detox from the stress of work, my son and just life's struggles. I found myself feeling spiritually weak-- I missed too much church, and I'm back. My son is here, so I need to go.